Paul Whelan was in Moscow for a wedding when he was detained, his family said. The family of an American man arrested in Russia on spying charges has said they are certain he is innocent and are worried about his well-being. Paul Whelan was arrested Friday by Russia's domestic security service, the FSB, which said he was detained because he was conducting "spying activity." Whelan's family said in a statement Tuesday that they are "deeply concerned about his safety and well-being." "His innocence is undoubted and we trust that his rights will be respected," the statement said. Whelan's twin brother, David, told ABC News that Paul Whelan is 48 years old and a former staff sergeant in the U.S. Marines. Service records provided by the Marines show he served two tours in Iraq in 2004 and 2006. According to a statement from his employer, Whelan is currently the director of global security for BorgWarner Inc., a large American auto-parts supplier. David Whelan told ABC News he can't imagine his brother as a spy. "He's got a military background, he's been in corporate security for years. He was former law enforcement. He was going to be very well aware of the risks of traveling in Russia," he said Tuesday morning. "I just don't see him putting himself in a position where he would be considered to break the law by a government like Russia's." 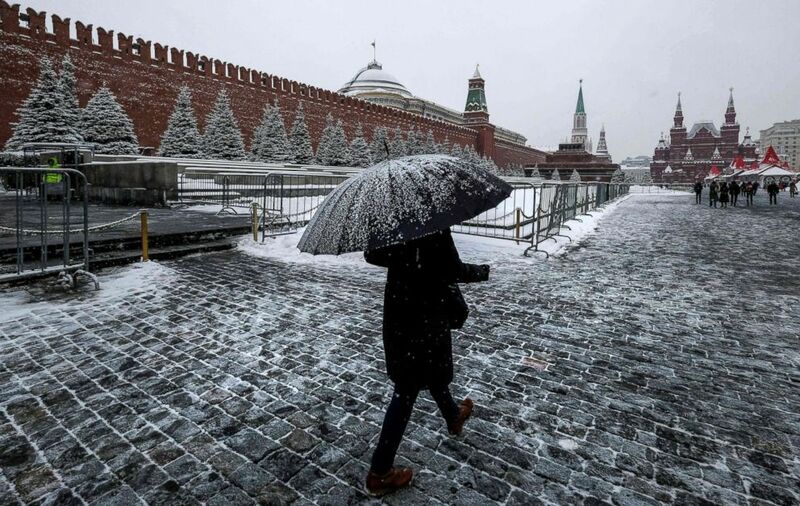 (Yuri Kadobnov/AFP/Getty Images) A woman walks on Red Square past the Kremlin after a night of heavy snowfall in Moscow, Dec. 6, 2018. On Wednesday, Secretary of State Mike Pompeo was asked by reporters in Brazil if believes Patrick Whelan had been detained by Russia and charged with spying as retaliation for Maria Butina's arrest in the U.S.
“We’ve made clear to the Russians our expectation that we will learn more about charges and come to understand what it is he is accused of and if the detention is not appropriate we will demand his immediate release,” Pompeo said following a meeting with the Brazilian foreign minister. The U.S. State Department said on Monday it had been notified by Russia of Whelan's detention but that American diplomats had so far been unable to meet with him. The group had toured city together, including visiting the Kremlin Friday morning, David Whelan said. That was the same day, Dec. 28, that Paul Whelan was detained. The wedding was that night and his friends become concerned when Paul Whelan never appeared, his brother said. His friends hadn't heard anything from Whelan since 5 p.m. The silence "was very much out of character for him even when he was traveling," the family said of Paul Whelan in the statement. By Sunday, his friend filed a missing person report with the U.S. Embassy, according to David Whelan. The first the family heard of Paul Whelan's whereabouts was when the FSB released its statement Monday announcing he been detained and accused of spying. The FSB, which stands for the Federal Security Service, has not provided any more details about Whelan. The Russian government has not publicly provided any information on what Whelan is accused of or the allegations surrounding his arrest. Whelan's employer, BorgWarner, has collaborated for several years with Kamaz, Russia's largest truck manufacturer, which is part of Rostec, a major state-owned conglomerate of strategic companies that produce defense technologies and armaments, among other products. There is no indication that this connection is related to Whelan's arrest. BorgWarner on Tuesday said it had no facilities in Russia and that Whelan had been on a personal trip. A BorgWarner spokesperson told ABC News that as director of global security Whelan "is responsible for the security of our facilities, assets and people." "The company does not have any facilities in Russia. It's our understanding that this was a personal trip. He was not there on business for BorgWarner," the company said, adding that Whelan has worked there since 2017. Prior to that, Whelan was employed by Kelly Services, a global temporary staffing agency, according to his brother. “I can confirm that an individual named Paul Whelan worked for Kelly Services until February 2016. Kelly has yet to confirm whether this former employee is the same individual reported upon in the news stories,” Kelly Services told ABC News in a brief statement. David Whelan said as far as he was aware his brother was more involved in physical security of factories and facilities, ensuring things like proper exits and preventing scrap metal from being stolen, rather than private intelligence or cybersecurity activity for the company. He said his brother had visited Russia previously, traveling for personal and work reasons. Paul Whelan gave an interview to a Marine publication about a trip to Moscow in 2007 while he as on R&R leave during one of his tours in Iraq. Paul Whelan was supposed to travel with the wedding party to St. Petersburg, his brother said, and was scheduled to fly back home on Jan. 6. Whelan's arrest follows another high-profile spy case involving the United States and Russia. A young gun rights activist named Maria Butina pleaded guilty last month to illegally acting as a foreign agent. (AP) Maria Butina, leader of a pro-gun organization in Russia, speaks to a crowd during a rally in support of legalizing the possession of handguns in Moscow, Russia, April 21, 2013. U.S. prosecutors accused Butina of trying to infiltrate the Republican Party through American conservative organizations, acting on behalf of a well-connected Russian banking official. The Butina case is loosely connected to the sprawling special counsel investigation into Russia's interference in the 2016 presidential election. 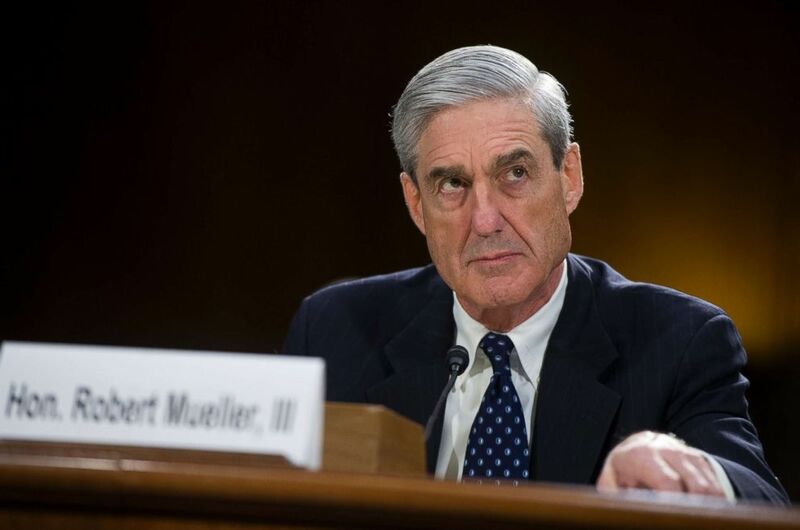 Robert Mueller's prosecutors are still probing, but have already uncovered a plot by Russian intelligence agencies to influence the election in favor of Donald Trump and to undermine his opponent, Hillary Clinton. (CQ-Roll Call via Getty Images, FILE) FBI Director Robert Mueller testifies before a Senate Judiciary Committee hearing at the Capitol, June 19, 2013. 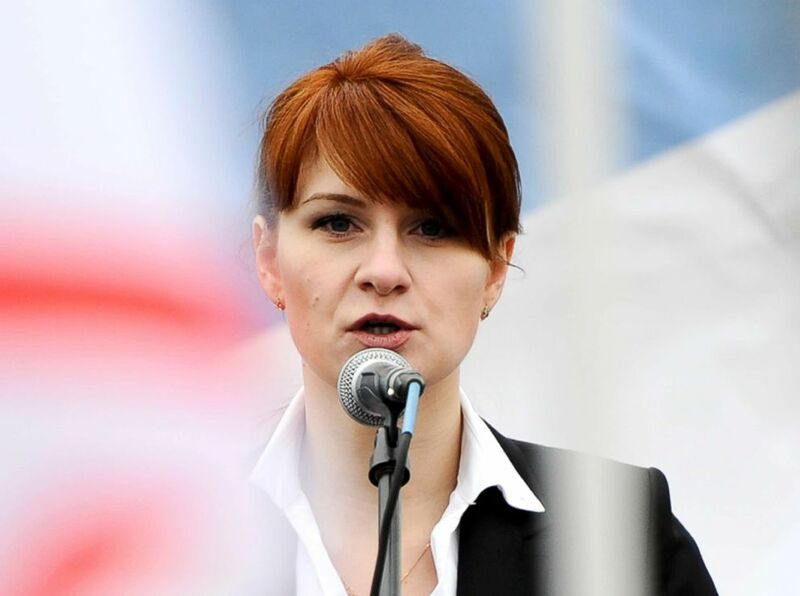 Russia has claimed the Butina case is a fabricated witch hunt and has accused the U.S. of taking her hostage for political reasons. “You need to recall that the Russian definition of espionage and spying is extremely flexible and covers all sorts of things that we would not consider illegal in any way,” he said. “It is a law specifically written to allow [Russian President Vladimir] Putin to define it any way he wishes. 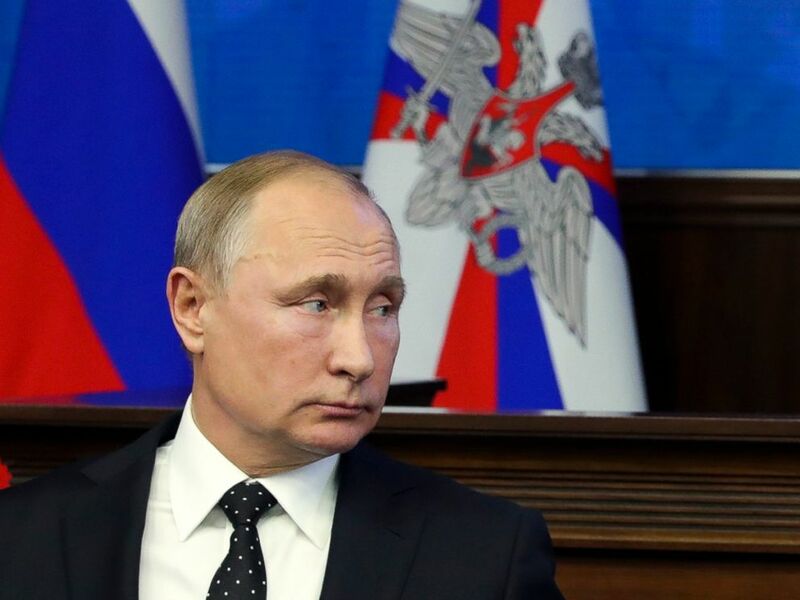 (Kremlin Pool Photo via AP) Russian President Vladimir Putin attends a meeting with the top military staff in the Russian Defense Ministry's headquarters in Moscow, Russia, Dec. 18, 2018. “It would be easy for him to arrest almost anybody and accuse them of espionage,” Sipher added.